We’d love your help. Let us know what’s wrong with this preview of Scouse Gothic 3 by Ian McKinney. Lathom lies awake. His nights are plagued by nightmares and his days by hallucinations and cravings for blood. Worse still he’s stone cold sober all the time - immortality has its drawbacks. Melville has decided to put his past behind him and live for the future - unfortunately his past has other ideas. Peter is worried that h Life can be difficult – even when you’re dead. Peter is worried that his research might create human vampires - and also that he may already know one. To ask other readers questions about Scouse Gothic 3, please sign up. Another great read! 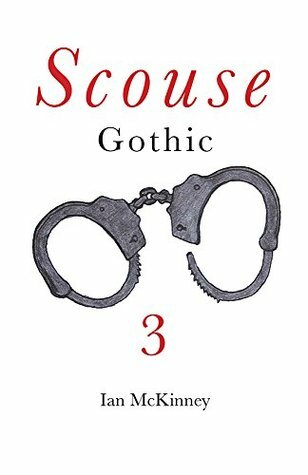 The third in Ian McKinney's Scouse Gothic series and every bit as entertaining as the previous two. I thoroughly enjoyed the characters, the story and of course, the setting (in my Liverpool home). The story picks up all the threads from the previous two books and with just the right amount of thrill, gore and humour delivers a very satisfying ending. Could there be more stories in the future? I certainly hope so. I was born and bred in Liverpool, but after leaving for University I didn't return to live in the city for many years. When I did return I found the city had changed out of all recognition; gone were the boarded up shops and derelict docks, replaced by a modern vibrant city. However many of the old buildings I remembered from my youth still remained, even if they now had different uses. An abandone I was born and bred in Liverpool, but after leaving for University I didn't return to live in the city for many years. However many of the old buildings I remembered from my youth still remained, even if they now had different uses. An abandoned docks was now a tourist destination, and a church now a night club.